How to achieve health and productivity. Health and productivity are important for organizational success. We each have our unique triggers that cause us to react. 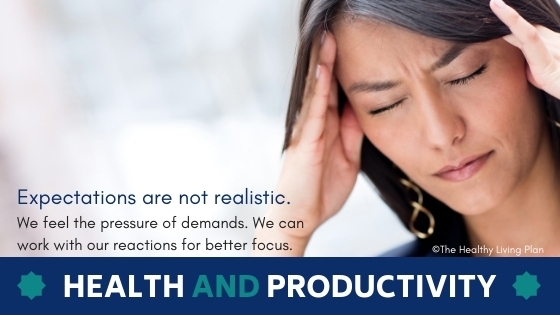 We may acknowledge that we need to achieve both health and productivity. However in a quest for higher productivity, health often suffers. 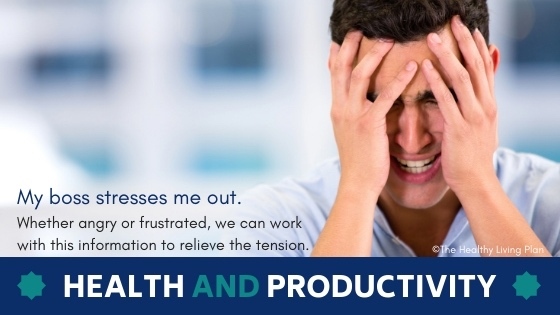 In a quest for enhanced health, productivity often suffers. Why? Each of us reacts to the demands of work and home based on our individual experiences and beliefs, cultural values, societal norms and workplace rules – both written and unwritten. As the demands of our environment increase, our reactions take the form of impulsive behaviour, stress, anxiety, depression, physical symptoms and other forms of distress. Health and productivity are important to each of us and to the organization. Logosynthesis®, developed by Dr. Willem Lammers, offers a guided change method that supports resolving the perceptual triggers to our distress. By using our reactions as information, we can identify frozen perceptions that trigger habitual reactive patterns. Using the power of words, the blocks are resolved to restore flow without triggering the thoughts, emotions and sensations that cause distress. To learn more about Logosynthesis® and how it can benefit you and your organization, contact us.